When Telekom Austria reported a 50 per cent drop in third quarter profit last November, the firm blamed a customer shift to multiplay bundles, increased competition in its eight markets across Central and Eastern Europe, and regulatory intervention. For Hannes Ametsreiter, the firm’s CEO, the first of these is to be embraced as the future, the second accepted as a fact of life and the third opposed as the most significant threat with which the company, and the European sector as a whole, is faced. Ametsreiter, at the risk of understatement, is not a fan of European Commission regulation. He says he wants to see Europe regain a leading role in the global sector, which is an aim he shares with European Commissioner Neelie Kroes, but he does not believe that current regulatory strategies will yield the desired result. Of the eight markets in which Telekom Austria operates, four — Belarus, Liechtenstein, Macedonia and Serbia — are outside of the European Union. Asked what differences he notes between the two subgroups, Ametsreiter says: “The ones outside are more profitable. It’s that simple”. “I believe we will see more consolidation in Europe, I believe international players from outside Europe will make acquisitions and I believe this means that the headquarters of some European operators might move outside of the region,” he says. Scale and consolidation are not just about international investment, however. Indeed one of the trends of 2013 was the growth of in-market consolidation among different types of operator looking to develop multiple strands to their offerings. 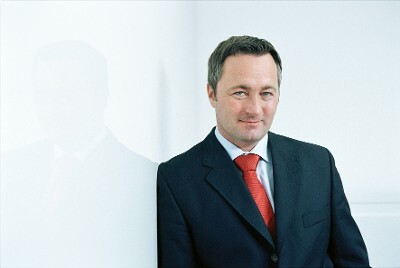 As an incumbent Telekom Austria has already bet on convergence and multiplay, Ametsreiter says. Others have speculated that, in today’s world, TV is the element that will work most effectively in a bundled offering as a retention tool. But Ametsreiter insists that the bundle itself, rather than any of its constituent parts, is what really make a service sticky. Churn among customers that have taken Telekom Austria’s bundles has fallen by 80 per cent he says. Financial performance might take a short term hit because of the discounts inherent in bundling but operators just need to sell more bundles to compensate, he says. Operators without such an offer will falter, he suggests. “Life will become more difficult for pure mobile players. You need to think about what your proposition for the future will be and if you don’t have any clear plan then I think you will miss out,” he says. Nonetheless, it is essential for multiplay operators to keep their mobile play in shape and, in Austria’s frequency auction last October, Telekom Austria secured a substantial spectrum holding for an equally substantial price. The firm acquired half of all spectrum made available; four blocks of 800MHz, three at 900MHz and seven at 1800MHz, giving it 2 x 70MHz in total. It paid E1.03bn which, at the time, Ametsreiter described as “a bitter pill”. Not for Telekom Austria, certainly. But the auction was criticised in some quarters for favouring the incumbent over its competitors and threatening the kind of investment, because of the high price paid, that Ametsreiter deems so important. T-Mobile Austria launched an appeal after the auction and the CEO of Hutchison’s local operation 3, Jan Trionow, described it as “a disaster for the industry”. So how does Ametsreiter respond to suggestions that the auction was fundamentally unfair? “We are not a competition agency but the auction was set up so that everyone had the chance to buy spectrum and the outcome was the outcome. And we now know that we have the best frequency situation and we can offer the best products on the market,” he says. How and when the operator uses that spectrum will be interesting to watch. Indeed, later in the discussion, Ametsreiter draws a direct correlation between cheap spectrum and infrastructure investment and the firm’s latest acquisition certainly wasn’t cheap. Telekom Austria is one to watch. Straddling the Eastern boundaries of the EU, an avowed multiplay specialist and with one of the world’s richest men already a significant stakeholder and keen to expand his European presence, Ametsreiter’s company could well find itself at the centre of some very interesting developments in 2014.